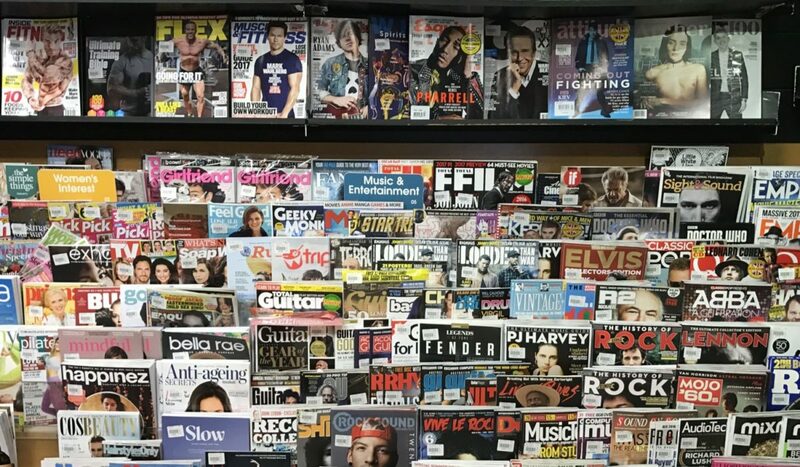 Analysis of the data concludes adding print magazines to any other media channel delivers stronger consumer brand affinity and purchase intent, greater than any other two main media channel combinations. 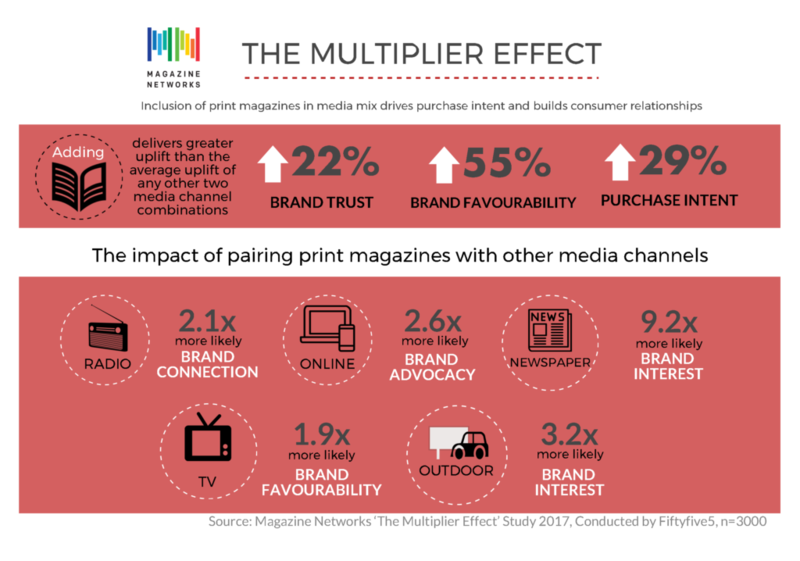 The Multiplier Effect, a study commissioned by magazine industry body Magazine Networks, has found combining advertising in print magazines with another main media channel has the power to help solve brand challenges such as building relationships with consumers and increasing purchase intent. 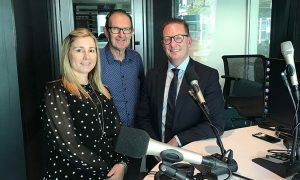 The ad effectiveness study, conducted by research firm Fiftyfive5, surveyed 3,000 consumers online, with the sample split across both magazine and non-magazine readers. The study measured both brand health and ad impact metrics across 24 brands spanning a range of categories including FMCG, automotive, retail, pharmaceutical and furniture/appliances.